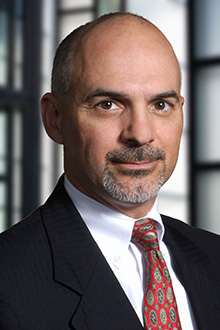 Phillip Anthony is the managing partner in the Raleigh office of Lewis Brisbois and a member of the General Liability and Workers’ Compensation Practices. Following his graduation from the University of Akron with a Bachelor's Degree in telecommunications, Mr. Anthony was commissioned as an officer in the United States Air Force. During his eight years in the Air Force, Mr. Anthony earned a Master's Degree in Business Management from Webster University in St. Louis, Missouri. Mr. Anthony earned his Juris Doctor with Honors from the Norman Adrian Wiggins School of Law at Campbell University. While at Campbell, Mr. Anthony was inducted into several honor societies and was three times recognized by Who's Who Among American Colleges and Universities and Who's Who Among American Law Students. The winner of five American Jurisprudence Book Awards for top performance in his classes, Mr. Anthony also served as Articles Editor of the Campbell Law Review and served as a contributing researcher for Williston on Contracts, Fourth Edition. Mr. Anthony is a frequent lecturer on legal matters and has served as an instructor in the area of Workers' Compensation Law for the North Carolina Bar Foundation's Practical Skills Course. He is also a certified mediator, since 1997. Mr. Anthony practices before all federal and state courts, as well as various administrative forums such as the North Carolina Industrial Commission, the Equal Employment Opportunity Commission, and the Employment Security Commission. He is a member of several professional organizations, including the American and North Carolina Bar Associations and the Defense Research Institute. 363 N.C. 114, 678 S.E.2d 656 (2009). Multiple presentations regarding General Liability and Workers Compensation law in North Carolina.